Yesterday, I participated in a very important educational webcast that was hosted by a great organization called freeCE, which is a subsidiary of Pharmcon. 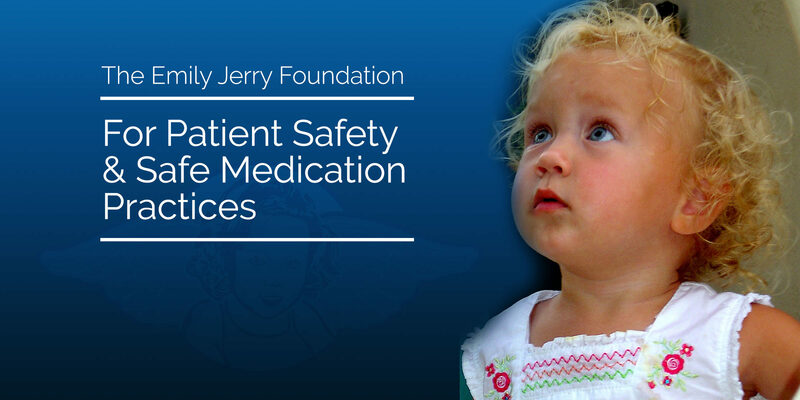 The title of the CE was “A Fatal Medication Error: The Legacy of Emily Jerry.” The day before, on Tuesday, I was told that there were approximately 1,000 pharmacists and pharmacy technicians who were preregistered and would be attending this event. During the presentation, the following short video clip from the Discovery Channel patient safety documentary where the pharmacist involved in Emily’s death and I were brought together for the first time in 2011, titled “Surfing the Healthcare Tsunami” was shown. Almost immediately afterwards, I began receiving extremely kind and very humbling email correspondence and IMs from many of the participants on the webcast. As a pharmacist I just viewed the CE program about the tragedy regarding your daughter Emily. Let me start out by saying how truly sorry I am for your loss. I can’t imagine the pain you have endured. Your forgiveness and understanding surrounding this issue has inspired me. What an outstanding human being you are for forgiving. Your humanity is truly admirable. Thank you for continuing Emily’s legacy by trying to help the situation and turning your tragedy into something positive. People like you help others retain faith in mankind. Continued success to you in all endeavors.